Zina45 is the next generation sonic toothbrush specifically designed to deliver the most professional cleaning + polishing experience at home. 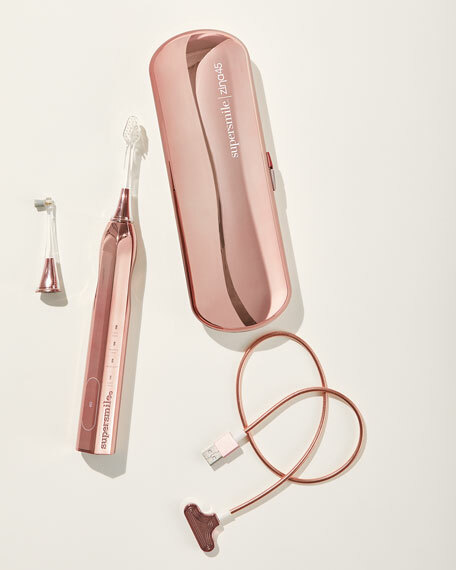 This brush is based on the same patented technology that Dr. Irwin Smigel, world renowned Father of Aesthetic Dentistry and Supersmile's founder, created. ultra clean: exceptional tooth + gum cleaning. sensitive clean: for sensitive teeth. super shine: polishes and brightens.